I realized that after the last of the cabinet positions are filled, there will be a sprint for the next rung of plum positions for undersecretaries, assistant secretaries, directorships and of course, political ambassadorships (a lot of that in the news lately). If Italy is in your list, some heads-up here – our current guy there may be a hard act to follow. Ron, of course, is Ronald P. Spogli, who was sworn in as U.S. Ambassador to Italy on August 10, 2005. His official bio states that after Stanford and Harvard, Mr. Spogli together with Bradford M. Freeman, founded Freeman Spogli & Co. in 1983, one of the leading private equity investors in the United States. Based in Los Angeles, Freeman Spogli & Co. has invested in 36 companies since the firm’s founding, totaling in excess of $12 billion of enterprise value. According to the article, Ambassador Spogli’s first love is Italy; he apparently speaks near perfect Italian, is a serious wine lover and above all, he is a pizzaiolo, an individual pizza maker that strives to make the best pizza that he possibly can (he made Tex-Mex pizza for President Bush when he was in Rome). He reportedly has a mammoth pizza oven in the garden of Villa Taverna, his own sommelier (wine specialists earn between 35K-149K), and this past October presided over the groundbreaking of the wine cellar construction at the Villa, the 16th century residence in Rome that has served as home for our ambassadors in Italy for the last 75 years. When the ambassador hosted a wine and pizza do for the Wine Spectator writer and three other Tuscan winemakers at the Villa, Mr. Suckling reports that the group’s favorite wine was the Marchesi de’Frescobaldi Brunello di Montalcio Castelgiocondo Ripe al Convento Riserva 2001 (a bottle will set you back $100.47 but it got 97 points in Wine Spectator’s 100-point scale; ). Don’t worry if you can’t pronounce the name, I had difficulty just typing (wine bottles have surnames!). And they apparently enjoyed several different pizzas including one topped with gorgonzola and celery! Mr. Suckling’s account also includes a small item about the ambassador’s behind the scenes involvement “in trying to resolve the recent controversy” regarding Brunello di Montalcino. Apparently a real turmoil involving grape types, impounding of wine, magistrates, etc. has roiled the wine world for some time now. And I had no idea. Design of the state-of-the art cellar is the work of renowned Italian architect Agnese Mazzei, who recently designed a new winemaking facility and cellar at her family’s famed Castello di Fonterutoli winery in Tuscany. The Mazzei family was inspired to participate in part to strengthen their historic ties with the United States. Among the illustrious ancestors of the Mazzei family is the famous Filippo Mazzei, a personal friend of Thomas Jefferson. In addition to planting Jefferson’s vineyards in Monticello, Virginia, Filippo shared many ideas which eventually were incorporated into the Declaration of Independence. Filippo has since been honored with an U.S. postal stamp and is considered an American Patriot. #1 Career diplomats cannot afford their own sommeliers Their spouses, if they are lucky may get embassy jobs that pay less than the lowest paid sommelier. #2 Career diplomats cannot cart around a massive pizza oven 7200 lbs for household effects is what everyone gets; whether you have two kids or half a dozen; can you imagine adding a pizza oven? #3 A bunch think an $8 bottle of wine is expensive Sometimes our finest think fine wine comes in those cute boxes and they drink them in plastic or Dixie cups. #4 Some think a Reidel cup is a regatta, a boat race thingy like America’s Cup. Can you blame them? The world’s first series were developed with the help of the Association of Italian Sommeliers! #5 Most career diplomats do not live in villas My neighbors live in a dinky apartment with no place for a growing boy to run; but they were told gratefulness is in order and free housing is no grounds for yawping. 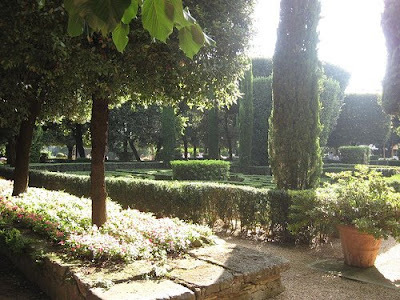 They don’t have Villa Taverna’s enviable gardens, instead they had postage size public parks all over the city; but the dogs owned all of them, literally! Unfortunately, the dogs have yet to teach their masters the art of scoop the poop, so walking on the grass or letting baby Jack or Jill crawl all over the place is really not, not recommended. I guess you can call that real life with a splash of whine. In any case, I really can’t blame you if your heart is set on that ambassadorship in Rome. Italy was the United States' thirteenth-largest trading partner in 2007, with total bilateral trade of $44.9 billion. Our foreign direct investment in the country at the end of 2006 exceeded $28.9 billion (can't find the 2007 data). And it is home to the U.S. Navy Sixth Fleet, as well as 13,000 of our military personnel. I'm sure this is a fantastic gig; and in such a romantic and incomparable place, too. But Ambassador Spogli is going to leave some pretty large shoes to fill. And there is that 5,000 cellar that also needs filling up (and not with the $8 kind). I hope this heads-up is helpful. E buona fortuna.